We’re aiming to do a series of articles on the topic of exporting. Instead of working through the process sequentially, we’ll just hop around various topics of interest in the export space and even come back to some for more viewpoints. 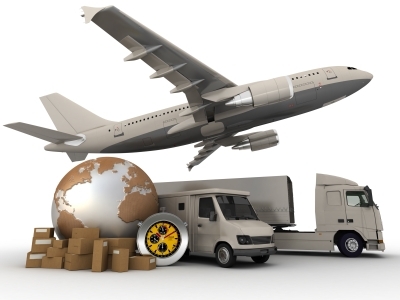 So here we go then – this first article is about planning for first time exporters. And as you can’t have planning without market research (MR), we’re including that too. Planning for exporting isn’t really much different to business planning for the start-up. Some owner/managers argue that you can’t really plan a business strategy until the company has already got some hard trading experience behind it. This may have merit. However, the flaw is that sound business planning is done on a foundation of diligent MR which if done properly, uncovers important facts about what pitfalls and risks to avoid in a venture as much as opportunities to exploit. It’s like arranging a car vacation to mainland Europe country you’ve never visited before. First you need to research what the country is worth visiting for such as culture, countryside, coast, food specialities etc. Otherwise you could be unaware of all these tourism opportunities, at best coming across them by chance. Then you would plan out where you are going to visit, which route you will take, and where to stay. As best you can, you’d maximise the best use of your resources – mainly your quality time and money for an enjoyable vacation. With no planning you might go nowhere of particular interest and pay a lot for mediocre hotels etc. See any analogies with business planning? Simply put, with export planning you’re still looking at selling products or services into markets and territories, taking into account all the resources needed, calculating the financial impact for commercial viability, and addressing risk. If export planning wasn’t already part of your original start-up and ongoing business planning, then there are quite a few additional things to consider. Some of these points are mentioned below. It sounds a bit dramatic to say ignoring them is at your own peril – that might be a “worst scenario” situation, but there is some truth in the statement. Realistically exporting can be fun (if you like travelling and experiencing different cultures!). It also has to be lucrative so it helps if a bit of common sense and good MR and planning is employed at the start to mitigate potentially costly risks. Supports may be available from Enterprise Ireland, County and City Enterprise Boards, and other agencies to assist with export preparation. Exploratory visits to the selected country will be essential as part of the initiation process and even before selling starts properly. This could be for visits to potential end-users for validating the product or service, meetings with future sales partners, or research at local exhibitions. Differences in cultures (= the way we do things) may mean your existing products/services aren’t quite right – or even could be downright inappropriate for some countries! Apart from such as the UK or Benelux, it’s almost certain you will come across this issue at some time so it does need checking out very carefully before selling starts. Different ways of doing business in different countries can impact on things like debtor days, how your goods are sold such as needing field trials beforehand, and the extent of shared responsibilities with in-country partners such as paying for certain marketing outlays. Be cautious about proliferating the number of countries you try to sell to when you start exporting. This especially applies to the small business with limited external sales resource – often the owner/manager him/herself. Last but not least, be careful not to take your eye off the ball with your established domestic customer base while you’re preparing for export activities. One other issue we come across is which territories you should consider researching as your first export target. Sometimes it’s obvious but there are some pointers which help you to decide which we will talk about in a future article.